Pork-Shrimp Wontons with Soy-Ginger Dipping Sauce are the perfect party snack for Super Bowl parties and Lunar New Year celebrations. This last week of January has been a doozy here in Wisconsin. First, we had Snowmageddon. Then, a monstrous polar vortex brought several days of double-digit subzero temperatures. Records were set. Schools were closed. Yesterday’s high, 13º F, felt downright balmy. Bye bye, January, it’s been a tough year. Now we’re on to February, and with it the Super Bowl and Lunar New Year. 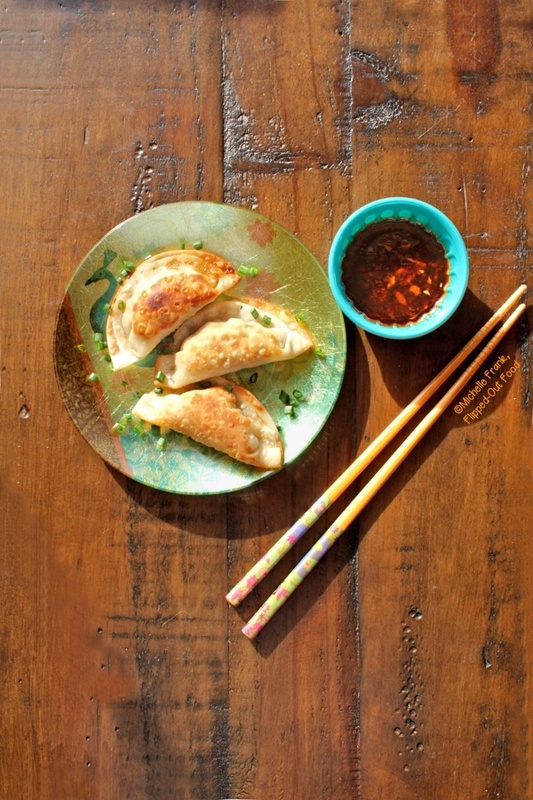 I figured that delicious little flavor bombs, also known as Pork-Shrimp Wontons with Soy-Ginger Dipping Sauce, would be perfect for both occasions. I’m gonna level with you here: these Pork-Shrimp Wontons with Soy-Ginger Dipping Sauce are a bit of a production. You have to mix up the meat. Lay out, fill, and seal the wontons one by one. Fry the wontons. But it is actually a fun activity to do with kids (or, in my case, a helpful hubby [and very eager-to-help cat]). 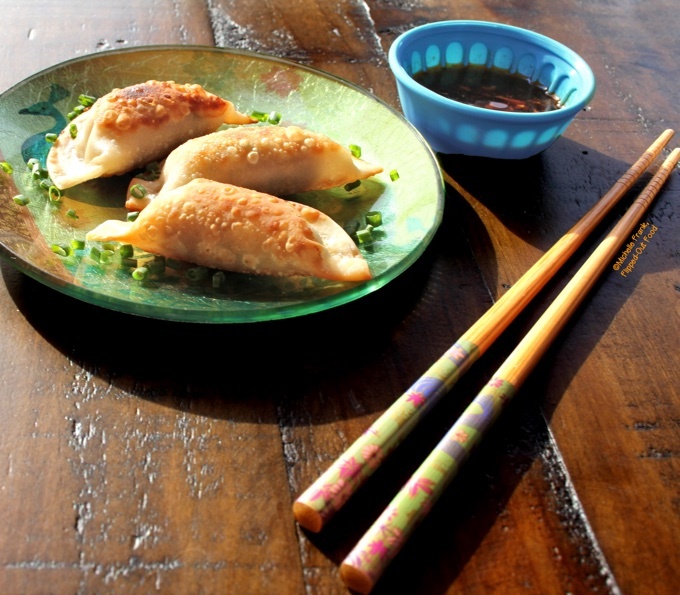 A couple of ingredients make this filling a stand-out from most wontons you’ve tasted. Second, we add a few dashes of Maggi Seasoning Sauce, full of natural glutamates from yeast fermentation. This addition really takes the umami over the top. There are lots of different, intricate ways to form wontons, involving nifty fold and tuck techniques. I opt for simplicity. That means that for round wonton wrappers, I fold in half to make a half-moon shape. For square wrappers, I fold corner to corner and make a triangle shape. In my opinion, the round wrappers make for the best wontons because the filling is more evenly distributed. The dipping sauce pops with flavor. It’s a simple matter of mixing the ingredients (except for the scallions) until well incorporated. Then, add the scallions right before you plan to serve the wontons. For the pictures in this post, I got fancy and scattered some chopped chives over the top. But that’s really not necessary. And that’s it! Pork-Shrimp Wontons with Soy-Ginger Dipping Sauce make for a cravable appetizer that’s far, far better than anything you’d buy at a store. I hope you love them! 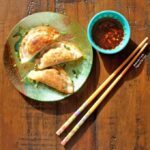 Pork-Shrimp Wontons with Soy-Ginger Dipping Sauce are a perfect snack for Super Bowl parties or Lunar New Year celebrations. Add all ingredients for the filling (through the Maggi seasoning sauce) to a mixing bowl and mix together with your hands until well incorporated. Set aside. Arrange your work area with a small bowl of water for dipping your fingers, the filling, a 1 tsp measuring spoon, the wrappers, and a plastic container with a lid. Lay a wonton wrapper onto a flat-work surface. Add 1 heaping tsp of filling to the middle of the wrapper (you can add more filling, but don't overdo it: you want to be able to make a tight seal all around). Dip your finger in the water and run it around the edge of the wrapper. 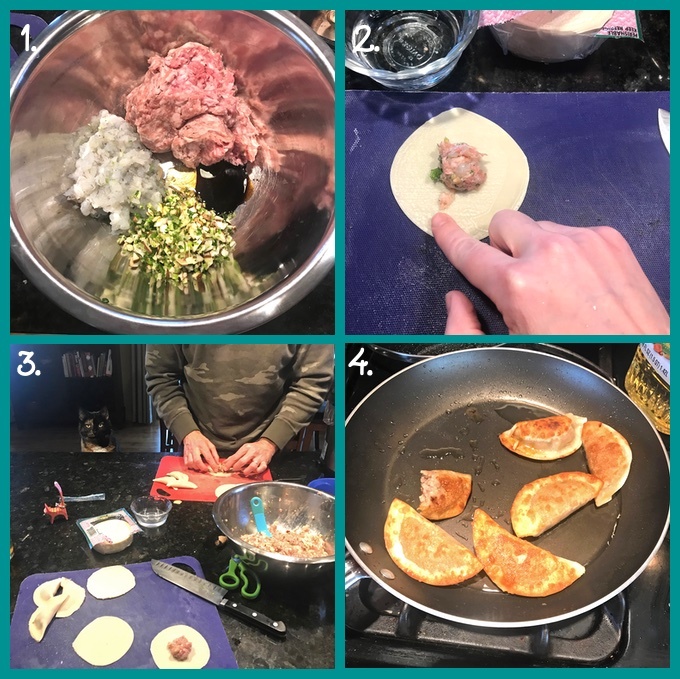 Fold the edges together and press firmly with your fingers to seal, at the same time working any wayward filling back toward the center of the wonton (this is just to be sure that you don't have any blow-outs). Place the wonton into the plastic container and add the lid (this keeps the wontons from drying out). Repeat until you've used up all the wonton wrappers or run out of filling. You can fry up the wontons right away, keep them in the refrigerator for up to 4 hours, or freeze them (but see Recipe Note #2). Heat 2 tbsp canola oil in a large skillet over medium heat. Working in batches, place a single layer of wontons in the skillet (don't overcrowd the skillet!). Cook until the bottoms of the wontons begin to brown, about 1 minute. Flip the wontons, reduce heat to low, cover, and cook for 3 minutes, flipping the wontons as necessary to prevent burning. Repeat with another batch of wontons, adding more oil as needed, and so on until all wontons are cooked. Throughout this process, be very careful of splattering hot oil. Add all ingredients except for the scallions to a bowl and mix well until incorporated. Mix in the scallions just before serving. I pulse the shrimp a few times in a food processor. FOOD SAFETY WARNING: if you use shrimp that were previously frozen, it is NOT SAFE to freeze the wontons. If you're planning to freeze your wontons, cook the shrimp most of the way through before chopping: saute in a heated skillet over medium heat with about a tbsp of neutral-tasting oil until opaque, but not completely white or firm. You'll have plenty extra sauce. It's fabulous over stir-fries, fried rice, or noodles. 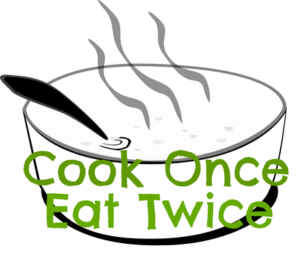 If you don't want extra, cut the ingredients for the sauce in half. These look so delicious and definitely worth the effort. We’ve only had a small amount of snow here and embarrassingly my office closed at 3pm yesterday due to safety but there wasn’t even any snow on the roads anymore! We’re looking forward to the Super Bowl this year – I’ll be supporting the Rams! Oh, yay! I’m for the Rams too! That’s so funny: I grew up in California and I remember school being closed for half and inch of snow! Thanks for stopping by, Cat!